Reggae songstress Sophia Squire is undeniably another Reggae -great in the making. Armed with an enviable voice and remarkable writing skills, the singer who came to the fore a few years ago after touring with a number of Reggae's legends as a back-up singer is set to make her mark on the international market in September. Sophia who is known for Rat-A-Tat, No Guns and others is scheduled to embark on a one month promotional tour of Europe to promote her music. 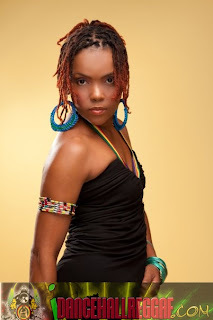 In the meantime, Sophia is one of the talented artistes featured on the recently released Dream Riddim. For those who have been keeping abreast of new music video releases, Sophia's song, Slow Motion on the medley has been a favourite with fans thus far. In addition, the singer has also released a new song, Naw Fight Ovah No Man, which by all accounts will be a hit. "Everyone who has heard the song so far has had great things to say. As the title suggests, it's about a woman who refuses to fight with another female for a man. It's been getting a lot of great reviews so far and I'm happy about that," said Sophia about the single which was produced by her managerial label, BREADROC. "I'm just trying to stay focused and put in the work and tackle not only Europe and parts of the USA but also locally and I'm bringing it this year, so people can look out," said Sophia.